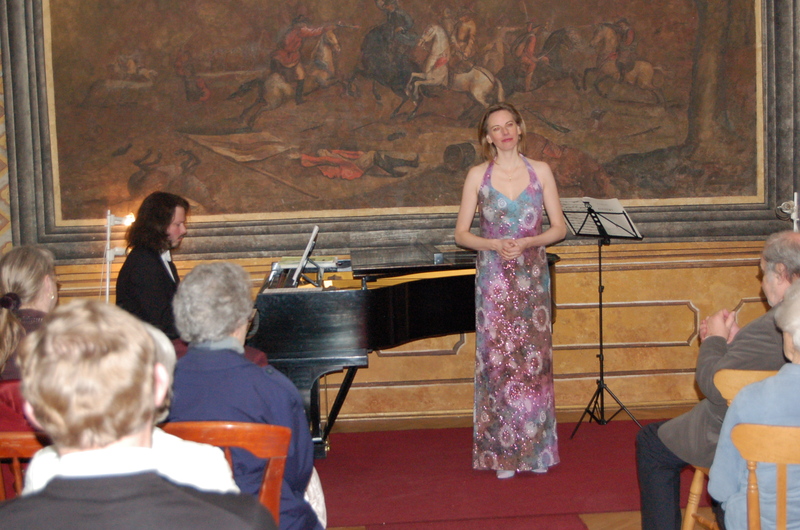 The programme of this concert is directly connected with the history of Mozart´s Prague. Le nozze di Figaro (1786) was in Vienna performed only nine times and then withdrawn, but in Prague was played with immense success, and Mozart was invited - by the orchestra! - to visit this metropole of Bohemian kingdom. 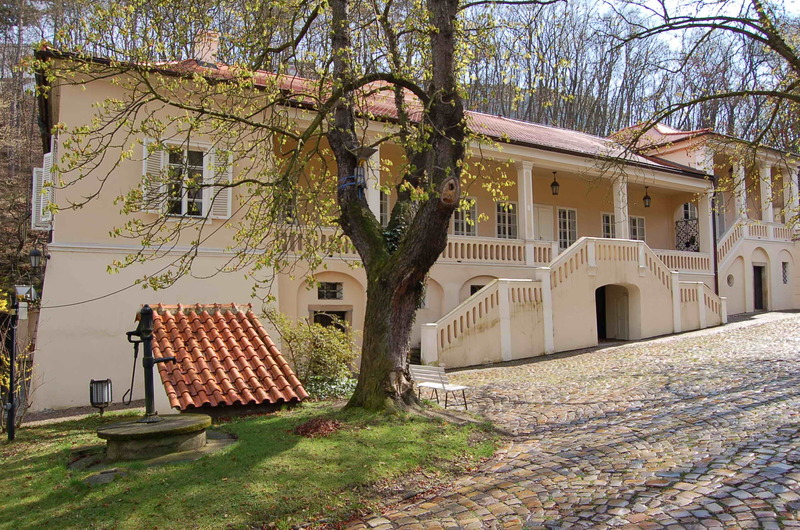 In Villa Bertramka - then situated outside the inner-city townwalls - which since 1784 belonged to the excellent concert-singer Mme Josepha Duschek (Dušek, 1754-1824), Mozart was a welcomed guest. They knew each other since August 1777, when she came - with her husband composer and cembalist Franz Duschek (1731-99, bow-backed) - to Salzburg, to visit her rich grandfather Ignaz Anton Weiser (1701-1785). For their concert in August Wolfgang had composed his first great concert scene Ah, lo previdi (I have foreseen it). It is a dramatic monologue (recitative-aria-recitative-aria) of a king´s daughter Andromeda,who had to be sacrificed to a sea monster, receives the message, that her beloved hero Perseus is dead (Ah, t'invola agl'occhi miei) and in a final lyric aria she begs her beloved not to cross the river Lethe (the riverof forgetfulness)without her (Deh, non varcar). Listening to this music we understand, that Mme Duschek was able to interpret furious vocal passages as well as tender wistfulness. Mozart was very proud of this aria and recommended it to Aloysia Weber, too. Two compositions stem from Mozart´s last year 1791 and Prague was the place of their first performance. His unique Clarinet concerto in A major Mozart finished in September 1791 having returned from Prague, where he performed his „coronation-opera” La clemenza di Tito. He sent the score to Prague and his Viennese friend and masonic brother the clarinetist Anton Stadler performed it in the Nostitz (later Estate) Theatre on the 16. 10. 1791. A graceful „autumnal“ work, a final model of classic music. Graduated from the Music Faculty of the Academy of Performing Arts in Prague. She became the winner of the International Singing Competition of E. Destinn 1997 and in 2001 the laureate of the International Singing Competition of A. Dvořák in Karlovy Vary. She was awarded a scholarship from the Italian Cultural Institute and completed her singing studies in 2001 at the Conservatorio di G. Verdi in Milan in Italy. Since 2002, she has made regular appearances at the National Theatre in Prague in The Marriage of Figaro (Cherubino, also on tour with the National Theatre in Japan). 2003 and 2004 she performed with great success in the title role of Beauty in Glass' opera Beauty and the Beast, and 2004 in the role of the Boy in the opera of M. Nyman Man and Boy: Dad. In May 2004, she represented the Czech Republic at the Berlin gala concert of singers from ten European countries entering the membership of the European Union accompanied by the Berliner Symphoniker Orchestra. She also gave concerts of religious music in Israel. Graduated from The Janáček Conservatoire in Ostrava in the piano class of M. Tugendliebová. In 2001 graduated from the Academy of Performing Arts in Prague in the piano class of M. Langer; in 1998/99 a scholarship enabled him to study at the Conservatoire National Superieur de Musique et Danse in Paris. He has participated in international master classes given by Lazar Berman, Eugen Indjić, Jelena Gilels, Alexander Longwich, etc. He is a prizewinner of Smetana's piano Competition 1992 and International Competition Karslbad 1994. He has been playing with leading Czech orchestras and performs in Czech Republic and abroad. In 2004 he appeared at the Proms festival, Royal Albert Hall, London as a soloist together with the Prague Philharmonia conducted by Jiří Bělohlávek. From 2002 he has been engaged as an Assistant Professor at the Academy of Performing Arts in Prague. Graduated from The Conservatoire Brno (winner of the Conservatoire competition in 1993) and from the Academy of Performing Arts in Prague. Finalist of the Prague Spring and Talent of the Year competitions. He attended master courses at Semmerig (Austria) in 2000 and 2000/2001 in Karlsruhe (Germany, Profesor Wolfgang Meyer). He took part in a summer courses at Aix-en-Provence (France, led by Ensemble InterConterporain) and was a member of the festival orchestra at Aix-en-Provence. In 2003 reached 4th place at an international competition ARD Munich (Germany). 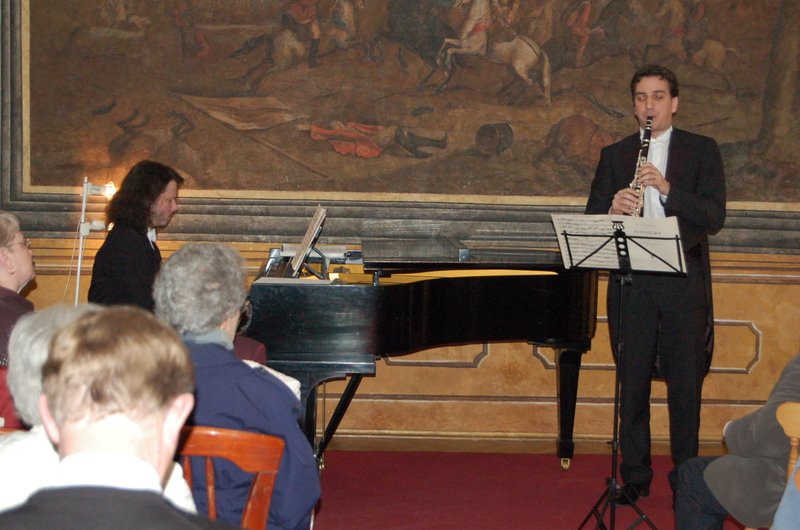 He is a member of the Prague Symphony Orchestra and plays bass clarinet with the Prague Clarinet Quartet.